Accounting tips for Freelancers !! Being a freelancer is no mean feat these days as they are not only an employer but also an employee. They even need to take care of the accounting department for raising proper invoices that aids in getting paid on time. A freelancer means a lot of work and investments, so you need to adopt practices that can result in a successful venture. 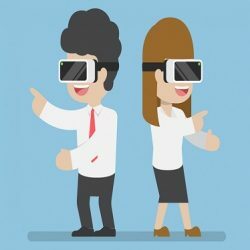 Most often, many freelancers do not have the required skills or time for accounting, therefore here is a guide that helps in the matters of finance. Being organized is vital for keeping accounting records. Keep well-organized records of all your financial transactions date wise. Have a separate bank account for your clients and for your personal use. Keep a thorough record of operational expenses like a laptop, wifi, rent, computer software and so on. These expenses can be claimed as business expenses when filing your tax return. Set aside 20-30 minutes every week to file your expenses properly. 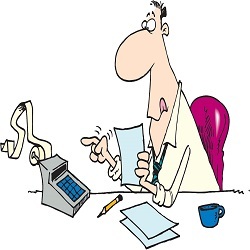 Invoicing is a vital part of every freelancing business and has to be monitored efficiently. Invest in good accounting software like ZapERP or others that make your professional life more comfortable and simpler. 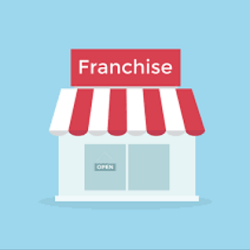 They come with many features like invoice generations, customer data integration, integration with third-party payment apps, tax calculations, property management, inventory management and many more. ZapERP and other software offer free trial period thereby avoiding an expensive software installation. 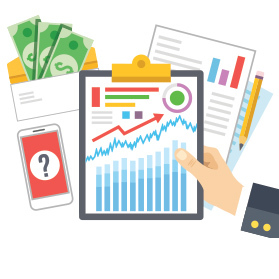 Using good accounting software to keep a record of all your expenses and incomes can assist in sharing the financial details of your business to your accountant to compile your tax returns. Getting the help of a professional accountant is a prudent investment. The professional accountant will have years of experience when compared to a freelancer. 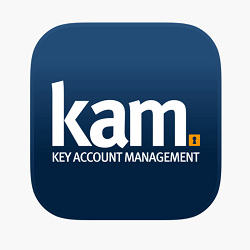 They can provide you with the best way to organize your day to day transactions. They can also help in filing your tax returns before the due date and avoid a late fee. Nowadays keeping track of all your expenses and incomes is very easy given the ease of mobile and internet banking. However, maintaining a thorough record of all your invoices can help in matching the payments. Invoicing software like ZapERP helps you in keeping records perfect and will also let you the customer patterns of payment. ZapERP comes with a great feature that also allows you to set up automatic invoices for billing your regular customers. Freelancers do not have tax deduction in their payments unlike the employees of an organization. So setting aside a corpus from day one can help you making tax payments on time. Consulting the accountant on how to offset your expenses against the taxes can also assist in preparing for the tax payments. Being a freelancer is a juggling act, and you need to manage many tasks at the same time. 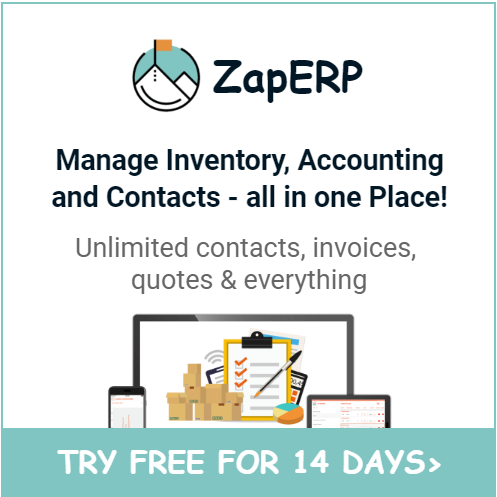 Use these tips to manage your business accounting and sign up for ZapERP today to get the best software for your professional needs. What is Balance Sheet? What are the Different Components of a Balance Sheet? Good advice here, for sure. I was surprised how quickly after I hired subcontractors for my marketing business I needed accounting 1099 software. Things get complicated so quickly it’s hard to believe. miss out on any of our great content! 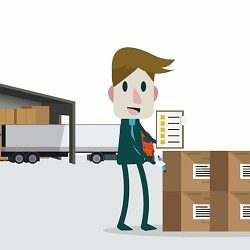 What Is Kanban Inventory System? What Are It’s Benefits? 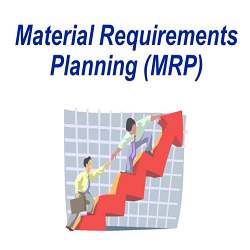 What is Material Requirements Planning(MRP) and What are its Objectives?